Add a sleek, modern appearance to your living area with a linear fireplace. 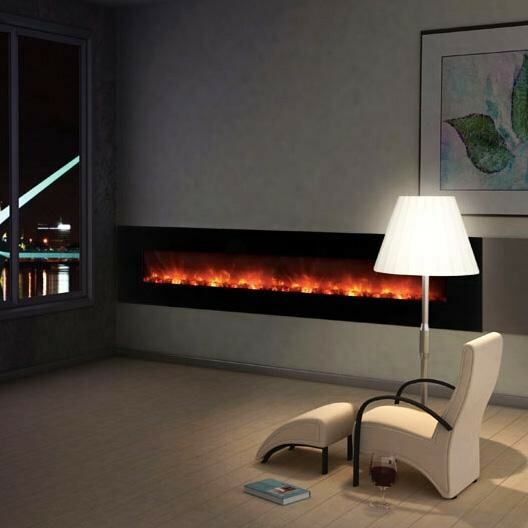 Ranging from 40 inches to 106 inches, these sophisticated horizontal fire elements will be the focal point of any room. These electric fireplaces require no venting or gas lines, and can operate with or without heat. Hang them directly on the wall, or flush mount them for an ultra-refined look.